The dominance of "illness narratives" in narrative healing studies has tended to mean that the focus centers around the healing of the individual. Meza proposes that this emphasis is misplaced and the true focus of cultural healing should lie in managing the disruption of disease and death (cultural or biological) to the individual’s relationship with society. By explicating narrative theory through the lens of cognitive anthropology, Meza reframes the epistemology of narrative and healing, moving it from relativism to a philosophical perspective of pragmatic realism. 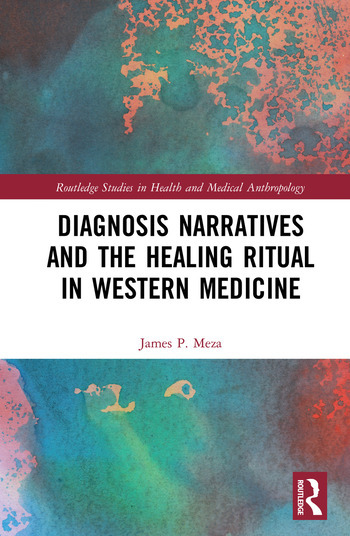 Using a novel combination of narrative theory and cognitive anthropology to represent the ethnographic data, Meza’s ethnography is a valuable contribution in a field where ethnographic records related to medical clinical encounters are scarce. The book will be of interest to scholars of medical anthropology and those interested in narrative history and narrative medicine. 4. Who is narrating and what story are they telling? James P. Meza is Assistant Professor in the Department of Family Medicine and Public Health Science at Wayne State University School of Medicine, USA. He holds a PhD in Cultural Anthropology and is a practising doctor of medicine (MD).